One of the biggest Rangers legends and one of the best defenders in Scottish history, Eric Caldow spent almost his entire career in the blue and white. Equally comfortable on both sides, Caldow was virtually omnipresent during a period where Rangers were one of the top teams in Europe. He was especially known for his blazing speed, with both Paco Gento and Jimmy Johnstone claiming he was the fastest defender they'd ever faced, Johnstone jokingly saying that he "passed him once, but I was in my Jaguar at the time". This, combined with his incredibly clean tackling and excellent reading of the game (he was never booked in his whole career), made him a nightmare for opposition wingers to pass. Caldow is also notable for being one of the first full backs in Britain to overlap and contribute going forward alongside Jimmy Armfield, and was also a very reliable penalty taker. Captaining Rangers and Scotland, he was noted for his calming presence and combinations down the left flank with Jim Baxter and Davy Wilson. Unfortunately Eric Caldow's career was cut short when he broke his leg in a famous match between Scotland and England in 1963. His Rangers teammate, Jim Baxter, would go on to dominate the English, scoring both goals to win the game and the British Home Championship. Despite fully recovering from his injury, he was never the same player again and left Rangers in 1966, retiring a year later. Last edited by StuartBannigan on Thu Oct 25, 2018 11:06 pm, edited 2 times in total. 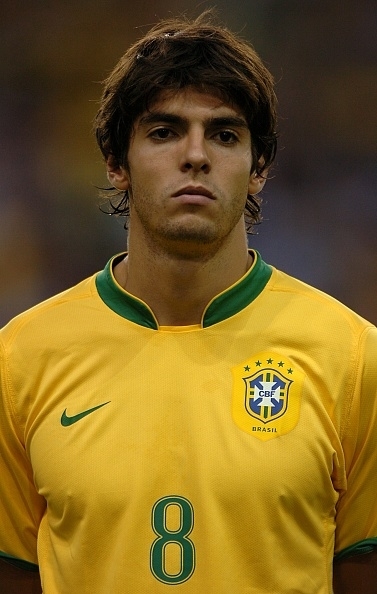 To be honest I never saw him play as a CB, Rangers played with something almost like a 4-4-2 back then, and he was always either left or right back. I have no doubt that he could have played as a CB, but from what I've read, I'm not sure he actually did. Mostly played at LB for Scotland from what I saw and what I’ve read. It’s hard to find any information on the formation Scotland used during that period though, I’m not sure how often they played 3 at the back. I’ll add CB just in case, it’s quite likely he did play it on occasion because of his versatility and defensive ability, plus he was a very similar player to Jimmy Armfield who has CB. No need to put that there. Caldow is also notable for being one of the first full backs in Britain to overlap and contribute going forward alongside Jimmy Armfield, and was also a very reliable penalty taker. 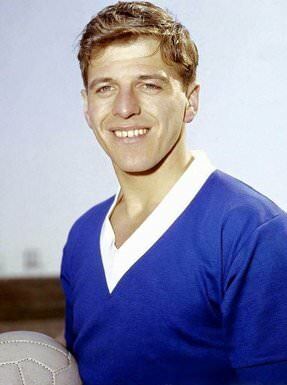 Captaining Rangers and Scotland, he was noted for his calming presence and combinations down the left flank with Jim Baxter and Davy Wilson. Where's the sense of AGG 66 when he apparently took part in offensive movements regularily? With this value he surely won't act like that ingame, even Burgnich has 67 there.. Injury tolerance A should be given to players who didn't suffer injuries. I don't know how many injuries Caldow had during his career but with a broken leg, he should have injury tolerance B. Did he really play that many matches to deserve CON 8? Also 7 for both WFF/WFA is looking too high for me. He could play on both sides but there's no info that he was a two-footed player. And if he never fully recovered after breaking his leg in 1963 (when he was 28 years old), then his Growth Type should be Standard..
Scotland played with 2-3-5 during the 1958 , and Caldow (#4) is playing as a right back (CB), at least against Yugoslavia and France he played there. Well he wasn't making any sort of offensive runs with the ball, he mostly used his good distribution to participate offensively instead of any kind of attacking intent, in fact him breaking his leg against England and Davie Wilson (a WF) replacing him at left back was said to have been the proper invention of the overlapping full back in Scotland. I originally had him on 69, which maybe would be better since he should definitely be above Burgnich. During that period he played about 45 games every season (even up to 52 in 1961/62), missing about one or two games a season on average, he was practically omnipresent. Considering his freak injury was basically the end of the era for this set, I thought it was fair enough to give him A since he was basically completely injury free until that point. WFF and WFA you're right about, I couldn't find anything there, and from the somewhat limited clips I saw him use his left a few times, but I kind of assumed to play equally well on both sides he'd have to be somewhat two footed. I'll put it down to 6 for both. Growth Type will be changed too.